Personally, I prefer a murder charge. If someone tells you they can't breath multiple time while you are choking them and you choke harder, that isn't an accident or involuntary manslaughter. It's murder. 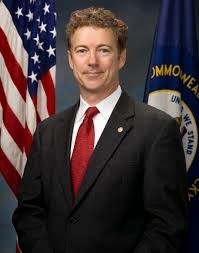 Washington (CNN) -- The New York officer involved in the death of Eric Garner should no longer be on the police force, Sen. Rand Paul argued Monday. The Kentucky Republican said Daniel Pantaleo lacked "discretion" when he placed Garner in a chokehold for allegedly selling untaxed cigarettes. "You probably shouldn't have the power to be a policeman anymore, at the very least," Paul said at a Mississippi Republican fundraiser, adding that the employment standard for police is "much higher," according to video by the Clarion-Ledger newspaper.